Concert tickets are $43 and $38 and can be purchased by calling St. Cecilia Music Center at 616-459-2224 or visiting the box office at 24 Ransom Ave. NE. Tickets can also be purchased online at www.scmc-online.org. A post-concert “Meet-the-artist” party, with complimentary wine and beer from Acoustic Cafe Folk Series Sponsor Greyline Brewing, will be offered to all ticket-holders giving the audience the opportunity to meet the artists and to obtain signed CDs of their releases. 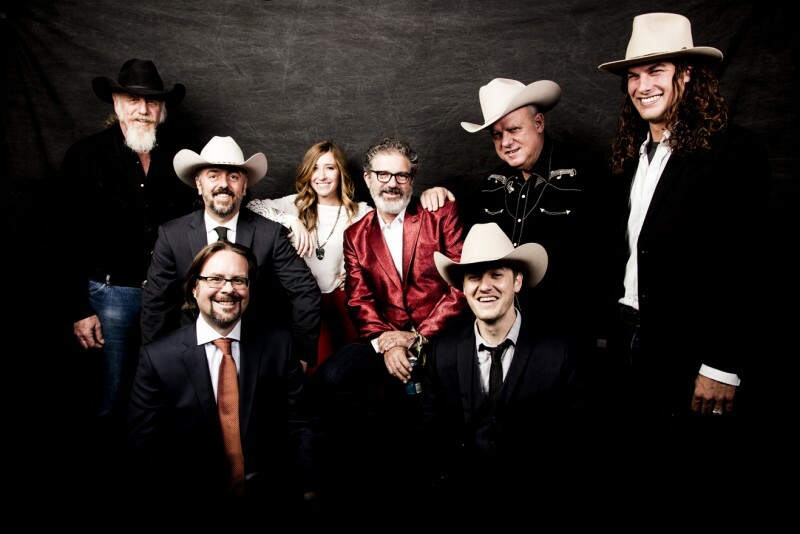 St. Cecilia Music Center (SCMC) will bring Asleep at the Wheel to Grand Rapids on Thursday, April 11, 2019 in a rousing performance of the band’s newest album, New Routes. The show in Grand Rapids will follow six straight performances by the Wheel in their home state of Texas. New Routes marks both a new path forward and a nod to one of Texas’ most beloved bands. Asleep at the Wheel, 10 time GRAMMY Award winners, have produced more than 25 studio and live albums in their 48 year history, After a decade of collaborating on records with friends, including Willie Nelson on 2009’s Willie and the Wheel, and paying ongoing tribute to the groundbreaking music of Western Swing pioneer Bob Wills, Asleep at the Wheel has marked a new beginning with their first album of new material in over a decade. With a bracing blend of original songs and vibrant cover material and some unanticipated new musical tangents, Asleep at the Wheel demonstrates convincingly that they are more relevant, enjoyable and musically nimble than any time in their 45-year history. That driving principle comes into distinct focus on New Routes. “It’s a nice addition (to the Wheel’s catalog) because it explores music we haven’t explored before and it highlights the people who are in the band right now,” says drummer David Sanger who, with 32 years under his belt, is the longest-running band member next to Ray Benson. Concert tickets are $43 and $38 and can be purchased by calling St. Cecilia Music Center at 616-459-2224 or visiting the box office at 24 Ransom Ave. NE. Tickets can also be purchased online at www.scmc-online.org. A post-concert “Meet-the-artist” party, with complimentary wine and beer from Acoustic Cafe Folk Series Sponsor Greyline Brewing, will be offered to all ticket-holders giving the audience the opportunity to meet the artists and to obtain signed CDs of their releases. Guitarist Leo Kottke who will return to SCMC on April 18, 2019. Over his many years of writing and performing, Kottke has composed scores for film soundtracks, children’s shows, and a symphony, as well as, released many albums. Focusing primarily on instrumental composition and playing, Kottke also sings sporadically, in an unconventional yet expressive baritone. In concert, Kottke intersperses humorous and monologues with vocal and instrumental selections played solo on his 6- and 12-string guitars. The Chamber Music Society of Lincoln Center will perform on April 25, 2018 with a program titled From Mendelssohn. Jakob Ludwig Felix Mendelssohn-Bartholdy was a German composer, pianist, musical conductor, and teacher, as well as, one of the most-celebrated figures of the early Romantic period, the artistic movement that exalted feeling and the imagination above rigid forms and traditions in music. During his short life, he combined mastery of melody, form, counterpoint, and the chamber idiom that was admired and imitated by composers for generations. This moving concert, performed by the exquisite Chamber Music Society of Lincoln Center, will begin and finish with two of Mendelssohn’s works from 1845, two years before his untimely death at the age of 38. Within the program, the audience will also hear from composer Robert Schumann who was one of Mendelssohn’s close friends and created works inspired by him. Brahms also recalled Mendelssohn’s lyricism with his own work which depicts the viola’s dark voice. Mendelssohn’s great admirer Tchaikovsky also created works that combined Mendelssohn’s German’s signature scherzo idiom with his own Russian melancholy and splendor in three selections from The Seasonsfor solo piano. CMS musicians performing for the final concert of the season will include pianist Inon Barnatan, violinist Cho-Liang Lin, violist Paul Neubauer, cellist Jakob Koranyi, and clarinetist Romie de Guise-Langlois.